About Us | SMP Marketing, LLC. 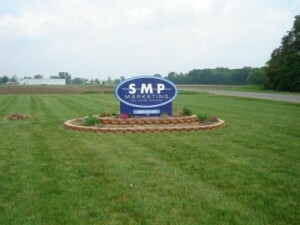 SMP Marketing LLC is a leading grower and shipper of fruits and vegetables in southwest Michigan. By working with premier growers and utilizing some of the latest technology in the industry, SMP Marketing LLC, along with our affiliate companies, we are able to provide a constant supply and high quality of produce to our customers year round. SMP Marketing LLC was formed in June of 2002 by conjoining three very successful companies, Cal M. Seel and Son, Akin & Porter Produce, and Moore & Porter Produce. This merger was made with the sole intent to service our customers with a more constant supply of high quality and service that they deserve. With our companies having locations in Michigan, Tennessee, Texas and Georgia, this gives us the ability to consolidate and shorten the transit times to all our customers throughout the United States. In 2003, SMP Marketing LLC made an addition to the company with the decision to build a new distribution center in Eau Claire, Michigan. This addition operates as Southwest Michigan Produce Center and is owned and operated by SMP Marketing LLC, Akin & Porter Produce, Moore & Porter Produce, and Costanza Farms. We built a 40,000 sq. ft. refrigerated facility, which is open year round for repacking and distribution purposes. 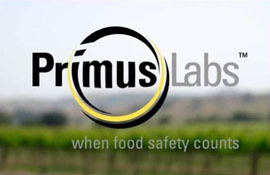 This new facility is equipped with a state of the art ammonia refrigeration system and is Primus Labs verified. During the months of June thru October, this location has allowed us to overnight deliveries to the Midwest, Eastern, and Southeastern regions. The ability to overnight product gives the buyers an added option of making changes to their orders just hours before deliveries, giving the buyer more control of warehouse inventory levels. Our Tennessee location handles our consolidation from November thru May, which from that facility we are still able to deliver all the same locations with as little as two days notice. In addition to our two distribution centers, SMP has three addition sales offices, one in Valdosta, Georgia that handles all southern vegetables, a second office in McAllen, Texas which specializes in onions and watermelon from Mexico and Texas, and a third in Farmington, Missouri. As with all of our locations, we have quality control personnel on sight to inspect the product before shipment. SMP Marketing LLC represents over fourteen different growers in Southwest Michigan consisting of, but not limited to, the following items: cucumbers; pepper; beans; summer squash; winter squash; eggplant; tomatoes; roma tomatoes; pickles; hot peppers; mixed greens; cabbage; corn; and apples. Our products are grown and packaged using some of the latest technologies to ensure product safety and quality. From GPS units on the tractors, to stainless steel packing lines, we are committed in keeping our cost competitive without compromising higher standards. 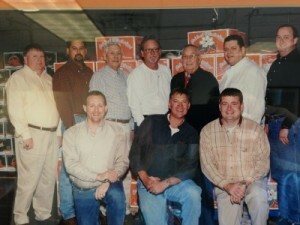 Our team is experienced and well versed in the produce business.